The spring edition of this free literary newspaper is available to download from the website now or can be picked up in hard copy from various bookshops and arts centres around Scotland (see website for list of places). 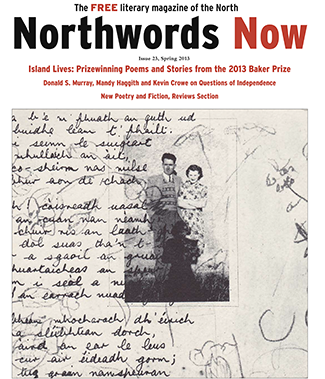 It’s a great showcase of Scottish writing – poetry, short fiction, reviews and comment – with an emphasis on the north of the country. I have two poems in this issue and you can also hear me reading them in the audio section.